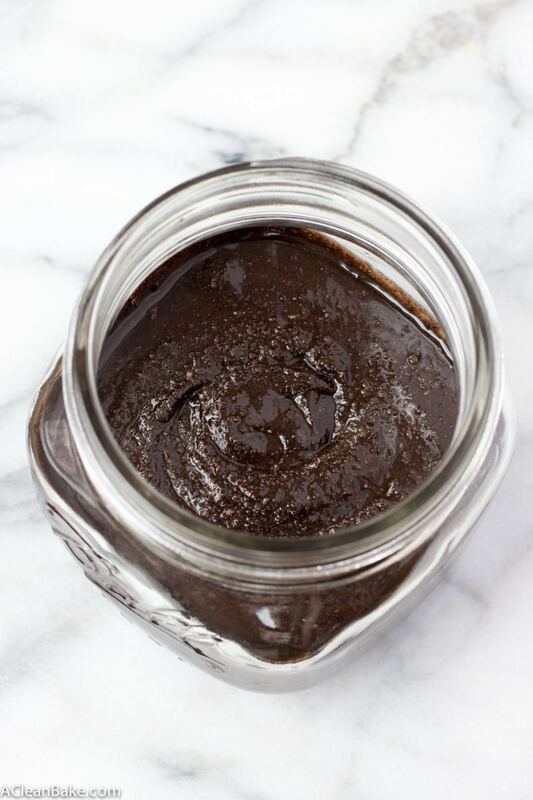 Nottella is a healthier, homemade version of that other chocolate hazelnut spread. Only this version contains real hazelnuts, and no dairy or palm oil! The recipe can be made sugar free or naturally sweetened. Once you’ve tried Nottella, you’ll never buy chocolate hazelnut spread again! In our house, when my husband wants to surprise me, he brings me chocolate, not flowers. That’s because he knows me very well, but also because once he brought me flowers to cheer me up after a week where work was terrible and my health was terrible and everything was terrible. Then my beloved cat, around whom my world revolves, ate a leaf from one of the lilies in the bouquet – which causes, I later learned – basically arsenic-meets-radiation-poisoning for cats which resulted in him being in the pet ICU for 3 days. We no longer have flowers in the house. This Valentine’s Day, I am making all of my/our own sweet treats because, as the lily is to the cat, recently, even the most natural sugars have been upsetting my stomach lately. Including honey and coconut sugar, my go-tos! It’s kind of unclear why this happened, but it’s just one of those things that, when your digestion is compromised, you kind of have to go with. I have to stop and give a little shout out to the amazing granulated monk fruit sweetener called Norbu that I used for this recipe and many of my other Valentine’s Day treats (and its sister brand, Natvia, which is a granulated stevia product). You may have seen these ingredients in recipes on this site before, but which has really been working overtime in my kitchen lately. Ever since honey and coconut sugar started bothering me, I have turned to Norbu more and more, and have used it in place of just about any other sweetener in everything from cookies to brownies to my favorite little single serve cake. 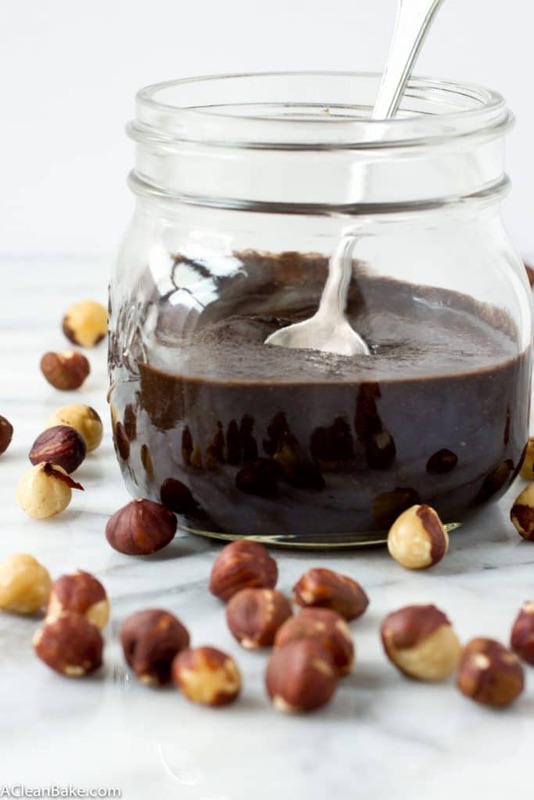 With Valentine’s Day approaching fast, I’m excited to share some of the delicious (sugar free) treats I’ve made, starting with this homemade chocolate hazelnut spread, which I call Not-tella, because I love a pun. Nutella, while beloved, contains palm oil, a controversial ingredient, which I try not to consume if I can avoid it. Plus, it’s sweetened with refined sugar, which is off-limits to me, especially at the moment. 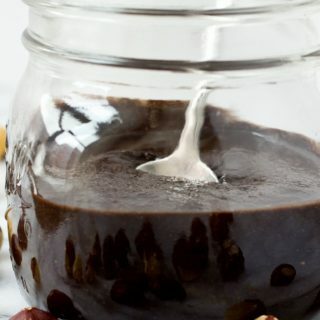 This version is quick to make, and only contains 4 recognizable ingredients: hazelnuts, cocoa powder, Norbu or your preferred granulated sweetener, and salt. Don’t get me wrong: I love (LOVE) Nutella, but doesn’t a homemade, all-natural, thick and luscious chocolate hazelnut spread just sound like the height of decadence? Optional: Toasts hazelnuts in a dry pan shaking periodically, until you start to smell a toasty aroma. Add the hazelnuts and cashews to the bowl of a small food processor and pulse 10-12 times (it takes a bit longer if you toasted the hazelnuts) until they form a coarse flour, then process continuously, scraping the sides and bottom of the bowl periodically, until it forms a thick paste. Add the cocoa, stevia, salt and tapioca/arrowroot (if using) and process to combine. Taste, adjust cocoa, sweetener and salt to your preference, and process once more to combine. Transfer to a dish if serving immediately, or store in an airtight container at room temperature for up to 5 days, or in the fridge for up to 3 weeks. Blanched (skinless) hazelnuts are ideal, but if all you have is skin-on hazelnuts, the recipe will still work fine. 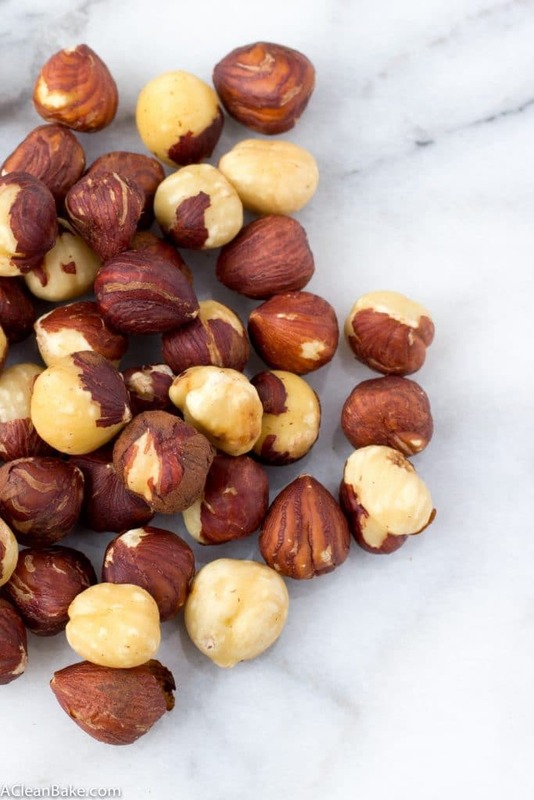 Toasting the hazelnuts is optional and offers a slightly richer flavor to your not-tella. Feel free to skip the step; your spread will still taste great. Do not toast the cashews. Processing the nuts will take a while; it is normal. The nuts hold on tightly to their flour texture, then start to form a giant ball. Just keep going; eventually the oils will release and the nuts will become a loose paste. Depending on your food processor, your spread might end up a little bit grainy. I had a lot of success transferring the grainy spread to a Magic Bullet and pureeing further to smooth it out. This should also work well in a high-powered blender. Do not replace the granulated sweetener with liquid sweetener like honey or sugar. The result will be way too runny. Without thickeners, the spread will be a little runnier than you may be expecting. This is perfect for baking with, or to use as a dip, but if you want to spread it onto toast, add additional cocoa powder and/or the prescribed tapioca (or more) until it reaches your desired consistency. Note that it will become pretty solid in the fridge, but will soften again when brought back to room temperature. This recipe yields about 1 cup. One serving is calculated as 2 Tablespoons. Right!? Nothing to feel guilty about at all, and it still tastes like Nutella. Did someone say the perfect food? (No? Ok fair enough). You’re totally right about the cashews! Thanks for bringing me a spoon – I’ll run away with the jar now 🙂 Looks delicious and I’m glad you’ve found awesome alternatives so you can still make the treats you want to! OMG Nora. Thank you for this! Can’t wait to whip some up.. I have it all on hand too!! Yeeeee! So sorry about your fur baby being in the ICU for three days. That is sooo difficult. Dear Claire Cat was in too, for kidney disease. It’s was so hard on her, but she pulled through. No more flowers, only chocolate! I’ll take it! Oh it was terrible, but we are so grateful that he came through it ok and is as good as new. I’m so sorry to hear about Claire! It’s never easy when your furry children are sick 🙁 🙁 🙁 Now that that thought has gotten me down, I think I need a couple scoops of Nutella to cheer me up. OH MY GOSH THAT’S SO SCARY ABOUT YOUR CAT!!!!!! But you know what they say about silver linings…I personally think chocolate > flowers. And sorry to hear that your digestive issues have gone all bizarre on you! But again, if the silver lining is this LUSCIOUS spread, I have to applaud you 😉 By the way, thanks for noting that Nutella has palm oil in it!! I never noticed that, but now I will for sure not buy it again. One more reason to make this amazing spread!!! Right?!? It happened a while ago but I still freak out every time there is any kind of foliage (even like a leaf of spinach) within his reach. But thankfully, everyone got through it in one piece, and he got hella pampered when he came home, and I have an excuse to get my favorite truffles! You’re totally right about silver linings. I am feeling better — but still trying to stay away from sugar/using that as an excuse to eat this Nutella!! Holy mackerel, your pour little kitty cat! I never would have known flowers could do such a thing! MONK FRUIT SWEETENER?!!! I’ve never heard of this and I need to try it ASAP! I’m all about the natural sweeteners, and you’ve just made my day by introducing me to a new one! 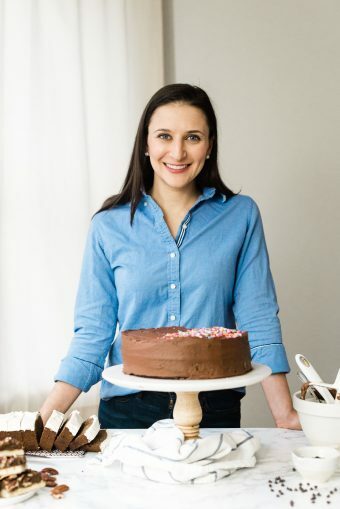 Nutella is..ugh…I just love it…and I stay as far away from it as possible because of all the sugar…so now I’m making it at home courtesy of your recipe. Yeah so TOTALLY get in on this monk fruit sweetener! It’s sold on Amazon, and I seriously cannot get enough of it. And this Nutella recipe is – so wholesome, you don’t have to stay away from it (is what I tell myself)! If you make it, let me know what you think! Haha NOT-tella! I LOVE what you did there! Also, reading “husband” instead of fiance was like WOAH….I can’t believe you’re married! I guess it’s hitting me a few months later LOL. Oh that’s right, I forgot about Zevia! I have tried them before and they’re really good. I’ll have to track them down again! Yep, I just got married a few months ago! I dont care what this recipe is called! It has chocolate and hazelnuts! This “not-ella” looks delicious and that is such a cute name! Chocolate are always welcome to me too! Mmmmm….I am going to have to try this one. I love nutella. Thankfully, my kids don’t like the taste of the last homemade kind I made. Meant more for me!